The Prabhakar Post: Did You Talk To Your Child Today? Did You Talk To Your Child Today? Every parent wants the best for their children.But how many really have a thought out plan to channelize the aspirations of your children into a real goal in the real world? Growing up in late 20th century,my parents had this general feeling that I should study hard and things would somehow work out.I am glad to say they were right.But it was by chance rather than through any assigned methodology. But how has the world we live in has changed.And fast!Technolgy is changing every six months.Jobs,vocations that were in demand last year are passé this year.Careers are evolving quicker and into newer fields.Uber,Amazon,Artificial intelligence,driverless cars,drones and more!! So when did you last check with your child and what their aspirations are and likely to be? I bet you did not.And if you are the parent(s) who did I am guessing you are still a little clueless on how to go about the whole process of fulfilling your child’s aspirations of the future. Especially so if finance is not your strong suite. Fret not,anyone with a little homework can build a sufficient corpus with time and patience. Those wishing to take a lower risk can look at Debt Funds that invest in Government Bonds or Corporate fixed deposits where the returns too are lower. GOLD has been a traditional investment in India for those who have daughters as marriages often entailed a substantial outlay in jewellery.The good news is that the Mutual Fund route can be used in this case too through ‘Gold Funds’. REAL ESTATE,another approach close to Indian hearts and one that has substantially appreciated over time but one must keep in mind the illiquid nature of real estate and especially the investment kind where you may not be able to find a buyer at the requisite time and at required price! 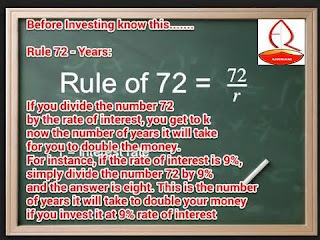 The key to any investment is longevity.Given time and the power of compounding even small investments made at regular intervals also known as SiPs(Systematic Investment Plans) can work financial miracles. Are you keeping the aspirations of your child in mind? Are you imposing your own unfulfilled dreams on them? Does your child have the inclination for the path they are on or is it your invisible hand that hovers over them? The important thing is for your children to be happy and doing what they wish to do.Its their Life! You can find more useful news at www.homework.axismf.com as they have a comprehensive and succinct guide that will assist in taking decisions that have a bearing on the future of the next generation.